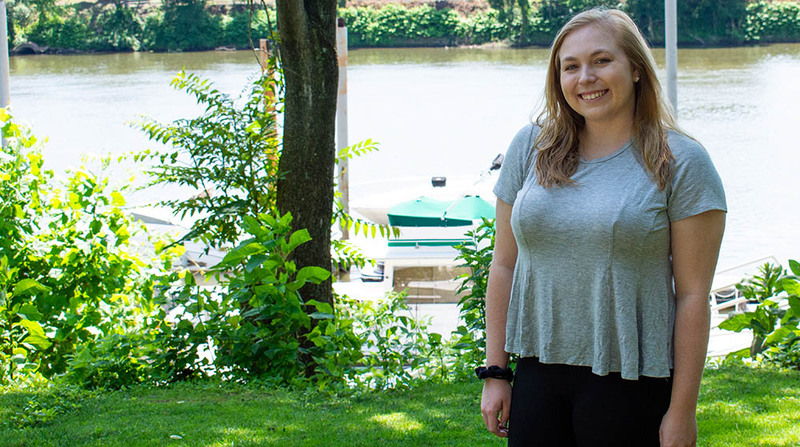 "I loved Point Park so much that I would go back and do it all over again. I loved the campus, the city, my professors and the students." This is one of my favorite questions to answer when people ask me about my new job. Since high school, I volunteered with my former dance teacher Casey Mahaven, of Mahaven Events. Throughout college and after graduation, I continued to work with her on several events she does with Pittsburgh Magazine, such as Ultimate House, Best Restaurants Party and 40 Under 40; this is how I met a majority of the Pittsburgh Magazine staff. The staff got to know me as a hard worker and someone who loved working their events. It wasn’t until fall of 2017 that I was invited for an interview for their new marketing team. The next thing I knew I was starting my job as Pittsburgh Magazine’s event coordinator. I am all events, all the time. I plan all of the logistics for our events. I do everything from helping to book the venue, inviting guests and hiring a photographer. Our marketing team is responsible for promoting events in the magazine, online and on social media. As a team, we create the language and the look/feel we want our event to have before we begin promoting it. Our roles are constantly overlapping, which makes us really all work together as a team. In what ways did your Point Park experience prepare you for your career? I learned a lot at Point Park. One thing that Point Park prepared me for was working in the real world (this sounds cliché, but it's true). Most of the work I did in college was for a real client or turned into an event or project. Point Park also offered so many great workshops, guest speakers and networking opportunities for me as a student that I felt confident when it was time for me to branch out on my own after graduation. 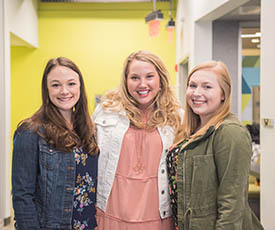 What was it like returning to campus — less than a year after graduating — to speak to students about a career in special event planning? Weird, very weird. I was sitting in those seats less than a year ago praying to be where I am today. I was the student trying to take every little piece of advice I got from a guest speaker and apply it to my life. While I was speaking to the students I was just sitting next to in class a year ago, I wanted to inspire them, to show that that their dreams really are possible and that their hard work can pay off in the end. Honestly, everything. I loved Point Park so much that I would go back and do it all over again. I loved the campus, the city, my professors and the students. If I had to choose my favorite memory, it's my trip to Iceland and Ireland with the International Media class. I took this trip after graduating and it was one of the best decisions I made. I got to enjoy these two beautiful places and I learned so much about their media compared to ours. What I didn’t know was how much that experience would prepare me for my future job with Pittsburgh Magazine. Point Park will always hold a special place in my heart and be my home away from home. This is where I met some of my best friends and where I made memories to last a lifetime. I am proud to say that I am a Point Park University alumni. Lead photo by Brandy Richey, junior multimedia major. Secondary photo by Nick Koehler, sophmore photojournalism major.